In only a few short years we've gone from clunky dial-up telephones to sleek, handheld devices with more power than the computers that sent a rocket to the moon. The vision of the future seen in the movies a few years ago is suddenly not so far-fetched. So what current tech was foretold on screen? We explore the real-world technologies that mirror their imaginary counterparts from the silver screen. For a taste of the future, meet Vodacom's newest member of #TeamRed: Pepper, a robot that can learn from its interactions with Vodacom's customers how best to answer your questions. 2018's biggest hit is packed with Afrofuturist tech. Most of it is powered by the fictional element vibranium, mined in the mountains of Wakanda. One of the coolest innovations is a train powered by magnetic levitation (maglev), that transports the vibranium from the mine. This isn't exactly movie tech made real - rather movie tech inspired by reality. High-speed trains like those in Japan use maglev - a magnet on the underside of the train is repelled by another magnet on the track, allowing the train to go super fast with no friction. Japan’s Chuo Shinkansen is the world’s fastest train, traveling at a max speed of over 600km/h. The next step in this tech is the Hyperloop, a revolutionary technology being trialled in the US by mega-entrepreneur Elon Musk. The Hyperloop train zooms along through a vacuum tube, meaning there is zero friction or air resistance, allowing for even higher speeds - even up to 760km/h. Steven Spielberg's Minority Report famously consulted with well-known futurists to create on-screen tech that felt almost-but-not-quite current. One of the film's most memorable scenes sees Tom Cruise being chased across an entire roadway of driverless cars. Every day, we're getting closer to this reality of a fully autonomous, self-driving car. We also saw characters in the film being bombarded with digital advertising addressing them personally, which is an all too familiar feeling for anyone browsing Facebook and seeing various adverts for products or services that were searched for days or weeks prior. And both Japanese Company NEC and IBM are currently working on developing personalised billboards to specifically target individual shoppers. And while it may have felt futuristic for Cruise to be able to control his home purely through his voice (he turns the wall screen on with a simple command, for example), now a fully connected home via devices like Amazon Echo and Google Home is becoming commonplace. 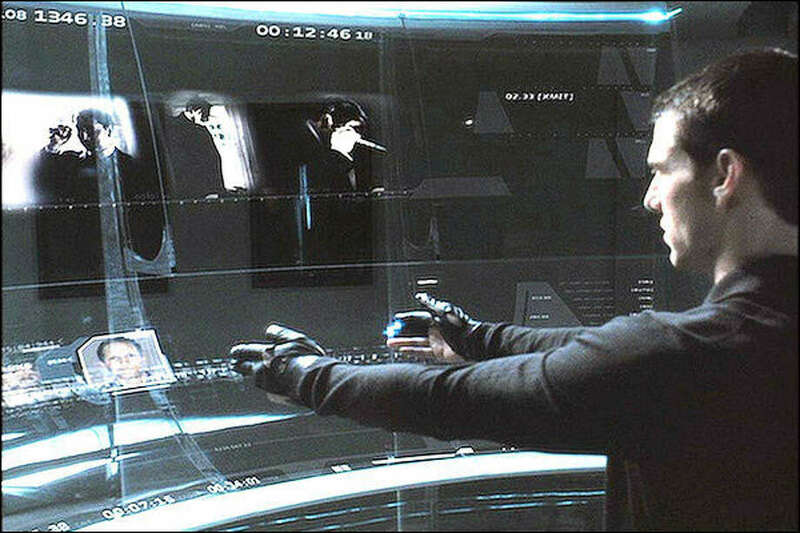 Minority Report also predicted gesture-based computing; the Nintendo Wii or Xbox 360 Kinect are decidedly less flashy than the tech Tom Cruise and his future cops work with, but it’s still the same concept. While we still haven't quite managed to invent a time machine, the Back to the Future franchise got some things right, such as wearable computing. The glasses you see the McFly family donning at the dinner table are just a really clunky version of Google Glass and even the Oculus Rift, which themselves are both in their infancy. Even cooler, Lexus is working on their own flash version of Marty McFly's 80s hoverboard. Anyone who's seen Ridley Scott's Blade Runner (or the recent sequel, Blade Runner 2049 ) will instantly recall the iconic images of building-sized digital billboards bathing the city in a dull neon hue. Giant digital billboards are becoming increasingly common - New York's Times Square is ablaze with them, and Samsung put them to good use when they staged a takeover to promote the Samsung Galaxy S8. While the movie's Replicants are presented as synthetic humans, rather than true robots, the film still explores the idea of artificial intelligence. A key device in the movie is that the Replicants do not have a normal emotional range, something that can be tested in the film using a Voight-Kampff machine. This is an echo of the various tests that have now been developed to measure advances in AI. Already scientists have developed machines capable of winning the Loebner Prize. The Prize's judges carry out a series of tests, such as having a conversation, with a human and a machine, and have to determine which is which. If the machine fools them, it wins. It's based on a test devised by mathematician Alan Turing (depicted in the 2014 movie The Imitation Game) to determine whether machines can think and use natural language. Other machines are now capable of beating us at our own games. 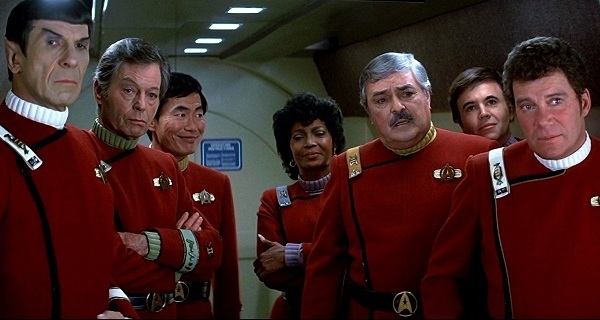 When you think about it, there are few things that Star Trek hasn't predicted in the 50+ years the series has been in the public eye. Captain Kirk's wrist-worn communicator is a precursor to the modern smartwatch; the PADD (or Personal Access Data Device) is basically just a tablet; and even the earpiece Nyota Uhura wears in the original series looks a lot like an early Bluetooth headset. In Star Trek: The Next Generation, the replicator - a device that synthesizes food out of thin air - was introduced; the details aren’t the same, but looked at in a general sense, it’s basically a fancy, futuristic 3D printer. Unfortunately, Star Trek's vision of a united Earth where all conflict has been erased is still a very, very long way off. Get the latest cellphone technology in your pocket on Vodacom Online and get FREE delivery, FREE connection and FREE sim. All without leaving home - now that's the way of the future.